Kansas City's leader in triathlon training. distances at the USAT Duathlon National Championships! Olympic distance ITU World Championships in Gold Coast, Australia! Success during the 2019 season starts NOW! Make it your best ever! ​Whether 2019 will be your first season in the exciting world of triathlons, or you have been a multisport competitor for many years, Midwest Triathlon Coaching (MTC) can take you to the next level of performance and enjoyment. With Midwest Triathlon Coaching, you will get the personalized guidance and training you are looking for, regardless of you current level of fitness or experience. 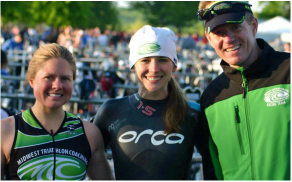 Midwest Triathlon Coaching has helped more athletes accomplish their goals than any other coaching company in the area. Since the 2007 season, MTC-coached athletes have raced over 55x Ironmans and 195x Ironman 70.3's. With Ken as their coach, over 75 athletes* have successfully completed their first​ Half Ironman. "I specialize in helping triathletes and triathlete 'wanna-bes' accomplish their goals. I have the experience as an athlete and coach to get you where you want to go. ​Together we will develop the plan and get you training the right way, so that on race day you will have, Confidence to go the distance!" Midwest Triathlon Coaching has been developing athletes since 2007. Are you looking for an ongoing coaching relationship to help you in your triathlon journey? This is for you. Do you need advice, testing or sport specific guidance but don't need a long-term coaching relationship? 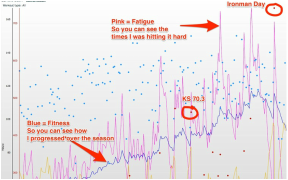 Check out other services available from Midwest Triathlon Coaching.